← Tenet #7 – Every Student Represents a Success Story Waiting to be Told. The frightening aspect of this approach is that it works for those students who are afraid of the consequences. However, for our neediest learners or those who come from challenging home environments, the effects can be severe. For these children we simply become the latest adult in a long line of adults who have let them down. Rarely are these students worried about the punishment or the consequences that result from them. As Dix comments, “What they are coping with in their own lives far outweighs any threats that school can issue.” These students need support not consequences. They need adults who display an understanding of who they are and demonstrate a desire to help them to meet the challenges. I am convinced, based on numerous conversations with teachers, most recognize this but they feel stuck with a school-wide system or philosophy that weighs heavily on punishment being the answer. Students are given consequences with little regard to what they might need in order to change the negative behaviors they are demonstrating. If the student persists, we up the ante until they are asked to leave. It begins with the conversation staffs first engage in when the topic of student deportment arises. If the dialogue is all about control and “laying down the law”, it will not be a surprise that more energy is spent on designing new consequences than in structuring growth opportunities to address the changes we can assist our students in making. This will also predetermine the end result for every conversation on behavior. 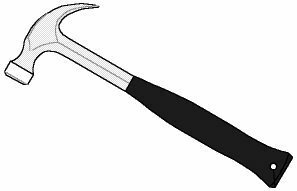 It’s like the old analogy that says if the only tool I have in my toolbox is a hammer, everything looks like a nail. The health and welfare of our students demands that we have a more complete toolbox.